Filling my days in Spring. Days Out—— Since I’ve been stuck at home all week due to illness, I decided to hitch a long drive to Chingford plain, in Epping Forest – which is located on the outskirts of East London. The park is not far from the quaint high street which has a church, an antiquarian bookshop, a small Budgens and a Costa, a charity shop, an art studio, a primary school and a couple of cafes. It is also a mere 2-minute walk along Bury Road from Chingford station, on the Overground line. 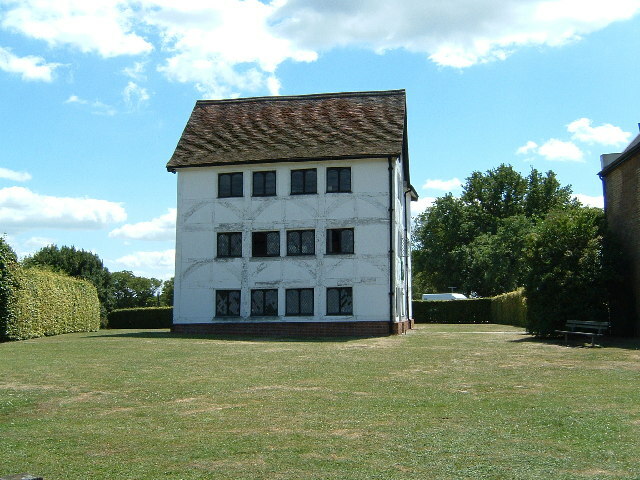 Up a steep hill, past the grazing cows adjacent to Chingford plain and golf course, is the local Tudor-built hunting lodge; perhaps unsurprisingly named after Queen Elisabeth II. The lodge also has two wooden deer displayed at the front. Unfortunately, I wasn’t able to climb the hill this time around, but here is what the hunting lodge looks like. I’ve learnt since that it is open to the public for inside tours – free of charge! Gardening—- It seems that the month of May is a time when the garden starts to fully reawaken! I’ve been making use of our old plastic egg crates for sowing a selection of poppy seeds before I decide to plant them out next month. If you read my recent post on plant purchasing, you may remember that I brought home a selection of Poppy seeds to experiment with. I recognise that the weather has been pretty changeable too, with some wild winds and showers, and so the mini greenhouse effect of the egg crate will keep the seeds warm and moderately watered. Television & Film—- And finally, across two consecutive evenings, I watched the 2014 film ‘Testament of Youth’ on BBC iPlayer which is based on the published memoirs of Vera Brittain, a young woman who lived through the First World War. In the film, Vera is a young country woman who dreams of attending Oxford University to study English – which she delightedly achieves. However, when WW1 breaks out and her lover Roland Leighton and brother Edward Brittain enlist, her world is flipped on its head. The film stars a plethora of well-known actors, including Kit Harrington, Colin Morgan, Jonathan Bailey and Alicia Vikander. As a lover of history, I found the story incredibly moving and regard it very much to be a coming of age film. I’d definitely recommend a watch, whilst it’s currently on the iPlayer. In factual television, I’ve been watching ‘Britain’s Most Historic Town’, presented by Professor Alice Roberts on Channel 4. In this series, Professor Roberts visits six historic to wns across Britain and Northern Ireland, with each episode focussing on a particular period of British history. Britain is rich with historical secrets and in this series, Professor Roberts meets with local historians in order to find out how historic sites and monuments were shaped and developed by the social forces of their time. My favourite episode so far has been a visit to Tudor Norwich. Other episodes include Roman Chester, Viking York, Norman Winchester, Regency Cheltenham, and Victorian Belfast. And the entire series is currently available online… And just as I finish typing this, here comes the rain. If you enjoyed this read, please leave a like and comment. If you’ve just chanced upon my blog – why not follow to receive regular posts, as well as book reviews! You can do so by clicking ‘follow’ next to my profile or by visiting the About Me page on my website.